CDS was constituted as a university centre in 2007, following a decade as the university-affiliated Development Studies Programme. It provides a central point for the study of development generally and in Palestine specifically and, reflecting the context of ongoing occupation within which it has emerged, is concerned with the role that communities play in the process. As a research-oriented institution its work plays a significant role in the activities of a variety of groups both locally and internationally, including senior scholars, policymakers and students, as well as local communities and groups. Over the years, CDS has built an extensive network of relations with grassroots organisations, the non-governmental sector, international organisations and the government, and makes extensive use of its resources and access to Palestinian communities and groups. It can draw on a wide range of experts, from its own highly trained core staff to affiliated senior associates within and outside BZU, as well as over 100 well-trained fieldworkers and supervisors throughout the oPt, who provide the primary data that underpins much of CDS’s work. CDS has provided important research on a wide range of topics, including several Palestine Human Development Reports for the UNDP and studies on Palestinian state formation and social issues, with particular emphasis on the issues faced by marginalised groups such as women, youth and those with disabilities. DDS defines development as a transdisciplinary research field and since its foundation (Project International Development was formed in 2002) has a placed a distinctive emphasis on multi- and transdisciplinary teaching and research. Thus, the scholars involved have different disciplinary backgrounds, ranging from economics to social sciences to various area studies, but share the common goal of contributing in training and through research to a more adequate understanding of development and development practice, inequalities, and power relations. DDS aims to challenge classical development theories and approaches and foster new and critical approaches to development theory, methodology, and policy. Established as an independent Palestinian university in 1992, Al-Azhar University hosts twelve different faculties providing mainly undergraduate but also some postgraduate programmes. Al-Azhar University’s role is not limited to teaching, research, and community services: It realises that the key to success is its ability to significantly contribute to the development of the country, and therefore also plays an important role in the development of the cultural, social, economic, scientific and technological spheres in Palestine. Since its foundation Al-Azhar University has cooperated closely with BZU in organising, for example, scientific conferences and expertise exchange, as well as contributing to community service through seminars and workshops on Palestinian human development and Arab knowledge reports. Founded under the legal umbrella of UNRWA in 1998, CDC is a social organisation whose mission is to support sustainable development and citizens’ rights through the following four main programmes and units: A women’s empowerment centre, a rights and support centre for people with disabilities, a youth empowerment and participation unit, and an early childhood development centre. Based in Zarqa, CDC leads a coalition of seven NGOs in the Zarqa governorate and coordinates 14 women’s and community centres (all affiliated with UNRWA) throughout Jordan in order to strengthen its capacity for policy advocacy. CDS and CDC can look back on a three-year collaboration mainly in the field of youth and women’s empowerment. 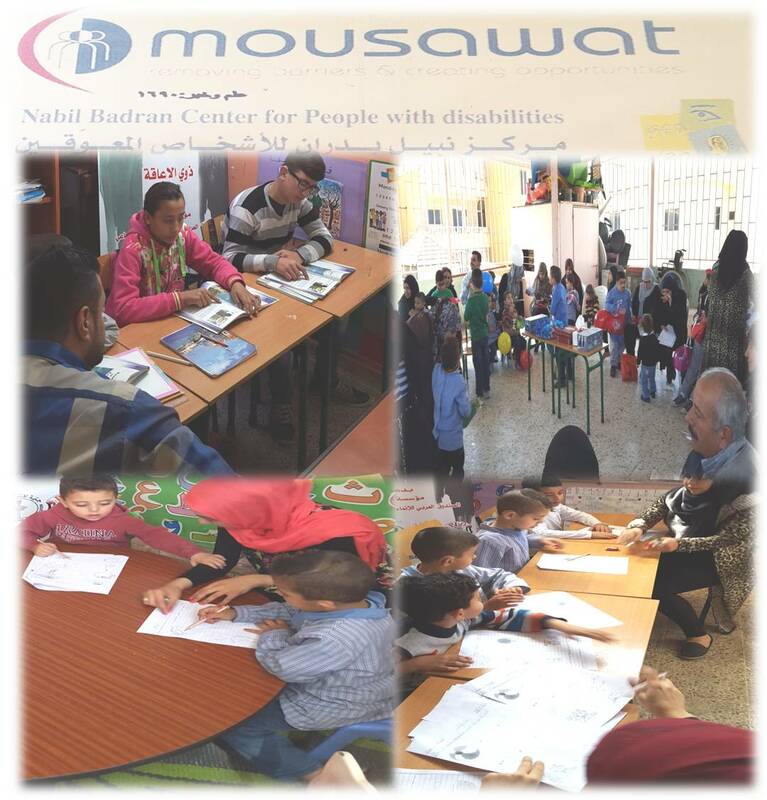 Established in 2008, Mousawat took over the disability programme established by Norwegian People’s Aid in Beirut in 1983. It is a locally registered NGO that aims to provide underprivileged groups of Palestinian refugees (especially people with disabilities, young refugees and displaced people) in Lebanon with various kinds of support such as rehabilitation, economic empowerment, training, and capacity building. Mousawat promotes a rights-based approach in social policy, empowers and mobilises persons with disabilities and their service providers, and thus enhances participation, accessibility, and inclusion. Cooperation between CDS and Mousawat dates back to 2007 when CDS conducted initial training mainly in the fields of disability and women’s empowerment. Since that time, CDS and Mousawat have further developed their cooperation and collaborated on a research project on persons with disabilities and the everyday problems by which they are confronted.